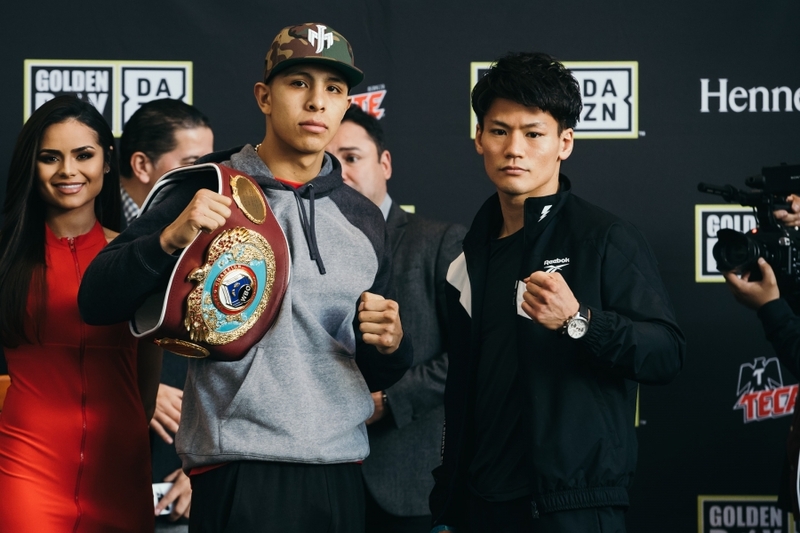 Jaime Munguia (31-0, 26 KOs) will headline the first Golden Boy Promotions event on DAZN in 2019 as he defends his WBO Junior Middleweight world title against Japanese contender Takeshi Inoue (13-0-1, 7 KOs) in a 12-round battle. 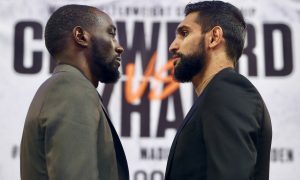 The action will take place on Saturday, Jan. 26 at the Toyota Center in Houston, Texas and will be streamed live on DAZN–which is just $9.99 per month after a one-month free trial. Munguia is a 22-year-old champion of Tijuana, Mexico who catapulted to the highest levels of the 154 pound division by knocking out Sadam “World Kid” Ali in May to capture the WBO Junior Middleweight title. Munguia then defeated Liam “Beefy” Smith via 12-round unanimous decision in July and completed a spectacular year with a third-round knockout win over Brandon “Bad Boy” Cook in the co-main event of Canelo Alvarez vs. Gennady Golovkin 2. Munguia will embark on yet another busy year by defending his title for a third time in January. Check out Round By Round Boxing‘s staff predictions for Jaime Munguia vs. Takeshi Inoue and let us know who you are picking to win. This fight is yet another addition to the rivalry of Mexico vs. Japan in boxing, but I wouldn’t expect this one to be a historic matchup. Jaime Munguia is a special kid, a fighter who has ripped through three solid fighters in 2018, and I think he could be the future of the Middleweight division. On the other hand, Takeshi Inoue has only 14 fights, nearly all of them being smaller domestic fights. He has not seen anyone as strong or big as Mungia in the ring. I have Mungia in three. Can’t sleep on the toughness embodied by Japanese boxers during this seemingly current influx of fighters from the Land of the Rising Sun. However, I’ll rock with the upstart Jaime Munguia based on size, range, action-friendly style and audacity. I’m also hopeful the young champ’s power continues to be a major part of the narrative on him. A lot of firsts for Takeshi Inoue–first time fightin in the United States, first time fighting for a title and first time fighting an opponent of this class and ability. This is a Jaime Munguia showcase. Too big, too strong and on to more challenging opponents for the Mexican star in the making.